Upon his death from cancer in 1984, Garry Winogrand left to posterity more than 2,400 rolls of exposed but undeveloped film, 6,500 rolls of developed but unproofed film, and another 3,000 rolls, showing only minimal edit marks. 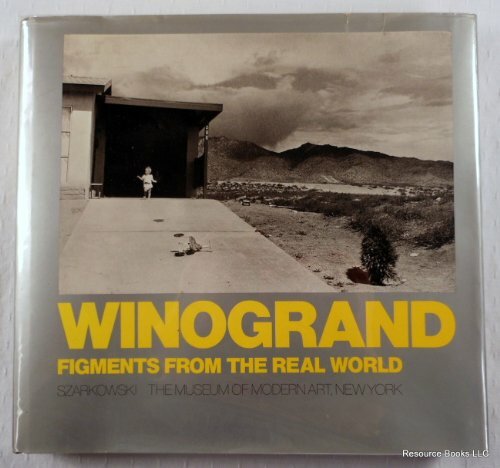 This major book and exhibition at the Museum of Modern Art reproduces work from each of Winogrand's previous books, along with other unpublished and "unfinished" work. John Szarkowski, the museum's curator, describes Winogrand as "the central photographer of his generation. Winogrand's pictures realize a conception of photography that is richer, more complex, and more problematic than any other since the Second World War. They also provide a picture of America during those years--of the flavor and texture of our life since Truman--that seems to me so true, clear, and tangible that it almost persuades me that I stood where he stood."